We were fortunate enough last summer to be at Saturn Sands during an epic rain storm. The land there is flat and being greenhorns we hadn't been able to tell which way the washes and stringers ran. Now we know, of course, that they all run to the roads. The dirt/sand roads, after a time become rutted and washboarded and need to be graded. Grading lowers the road a bit each time so the roads are as deep as a foot below the desert floor in some places. They make perfect channels for rainwater, washing out roads and depriving the desert of the sitting/standing water that the flora and fauna need. Swales might work here, but berms will not. Water cuts through them like a hot knife through butter. A check dam, however, paired with swales, may work. From what I understand a check dam, made of brush in these instances, is not to stop the water, but to slow it. 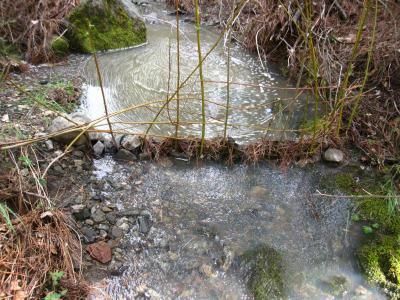 Slowing the water allows for infiltration and diversion. 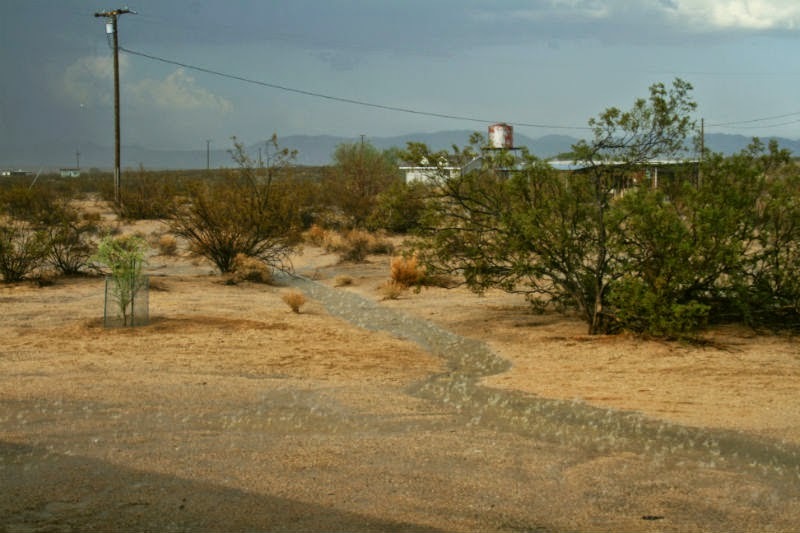 Swales, channels and pools can provide enough water for desert plants to survive and thrive. 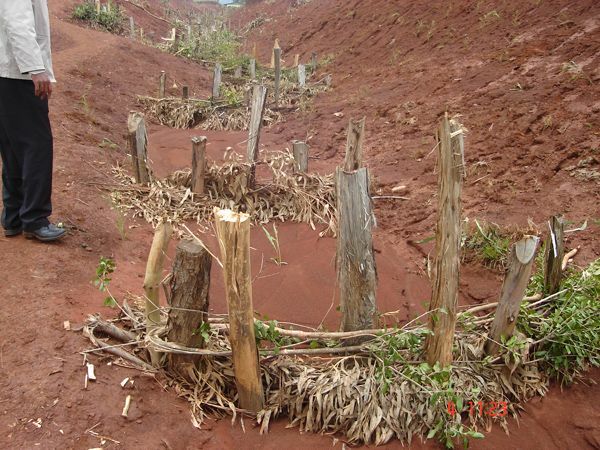 Any water that is prevented from channeling to the road slows erosion, desertification and flooding. We'll be bringing brush from our Wonder Valley property to Saturn. It's mostly athol pine so we'll use brush that has been weathered for many years, to prevent the brush from sprouting. Another benefit of check dams, channels and swales is that they make it difficult for off road vehicles to tear up the delicate surface of the desert. The first place we'll do this is on the west side of the house where we've planted desert elderberry (which I'm not certain is any different than regular elderberry) and manzanita on the banks of the shallow wash that runs to our driveway. Photos to come as the work progresses.